Winters in Canada are long; so just like a squirrel I have to think ahead if I want to be able to eco print all year long. 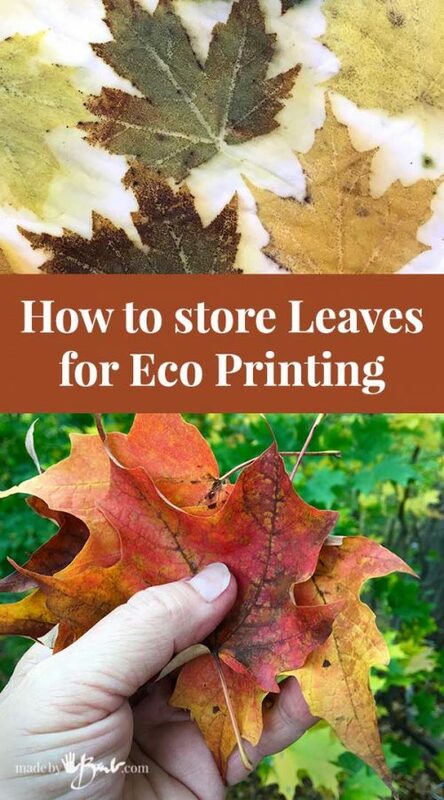 Let me show you how to store Leaves for Eco printing so that you are ready whenever the urge hits and avoid some common mistakes. ‘Really looking at the species of trees around you, while breathing in the fresh air is a healthy habit! Up close and personal with such intricate details can take some of that daily stress away. Quiet times strolling along and reflecting; how can such biological magic just ‘pop’ out each year?! 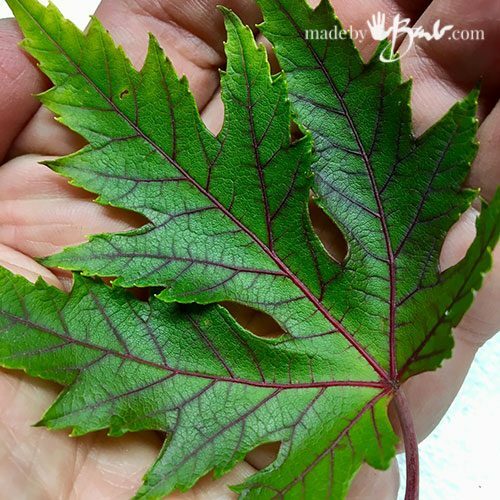 I am blessed with much ‘green’ around me; especially my beloved sumac & many many maples. It fills many roadsides with green and no one thinks they are precious… except me. 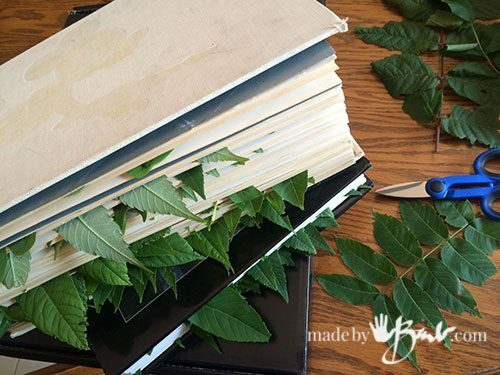 When I first started collecting I used books to press my leaves in. It seemed pretty logical however they would get too full and the books started to absorb the moisture. Also, since they are bound by the spine the flattening pressure was also not even. 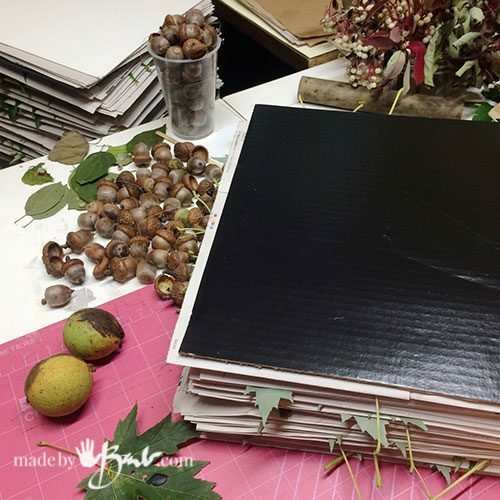 I like to be able to keep some order to my studio; which if you Eco Print you know can be a challenge. 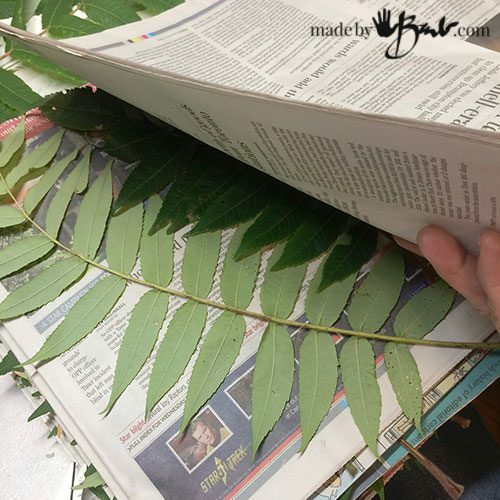 For simplicity sake I collected a large amount of newspapers and cut them to a common size. I also cut a bunch of card board into the same sizes. Yes, it’s pretty simple to just press them between the paper but they do not all have the same moisture content. 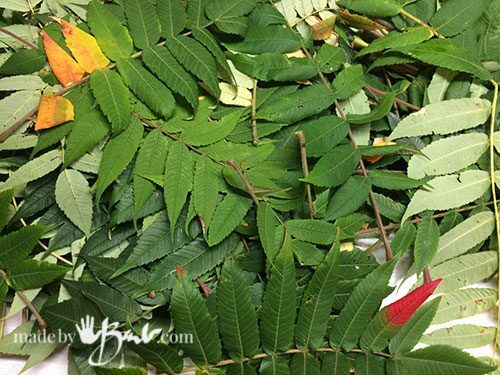 Sumac is quite fleshy so it can easily get mouldy therefore using multiple sheets between layers is much better. Do not have the leaves overlap either. I use the cardboard as a way to keep things flat and also to keep the species separated. Applying pressure seems logical too but it actually stops the drying process somewhat as it locks in the moisture which will cause mould. I don’t stack more than 6″ of the layers. Flipping the stack every (day or so) allows the layers get air flow and even out the weight of the stack. My main purpose is to keep them flat while drying, but they don’t need to be ‘crazy’ flat. 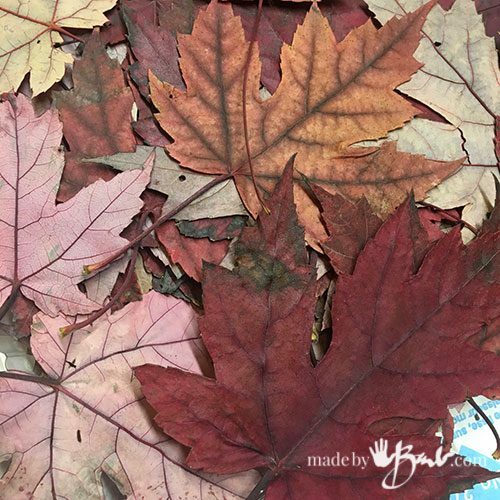 Keeping bags full of freshly found leaves in outside sheds can work as well but I am fussy about how my arrangement and I prefer to see the them flat. 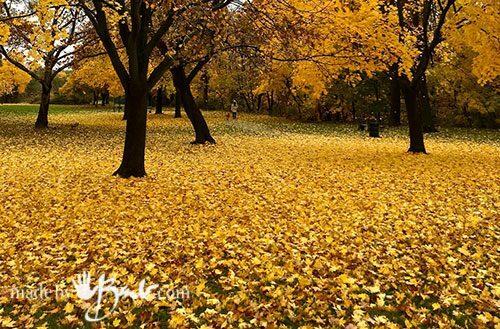 Fall has such an abundance of leaves (and rain) so large amounts can be collected, but letting them dry somewhat is a good idea. How many leaves do you need?! I get that question all the time! That ‘crazy lady that looks like she is cleaning up the whole park’ will be happy once she has a good stockpile. I tend to use a lot of this free matter in my designs and scarves so I ‘overstock’. I now know where all the ‘best’ trees are. Spring foliage is tender and will print a bit different than the more developed in the later season but I still use it. They can be so fresh that they wilt in no time so quick printing or saving is needed. Even having something to sandwich them right away helps. The colours of the leaves don’t necessarily print that way; that’s why it’s such an interesting art form; sort of like painting without knowing the colour on your brush. 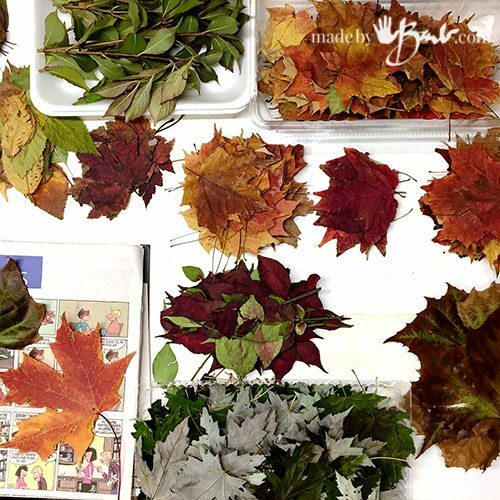 Tip: don’t stack and forget, keep checking as not all species of leaves are the same in the drying time. I have lost much sumac to mould because of this. After I have them dried I do like to keep organized and sort them into containers. Most will keep their colour quite nicely and I avoid overly decayed leaves. 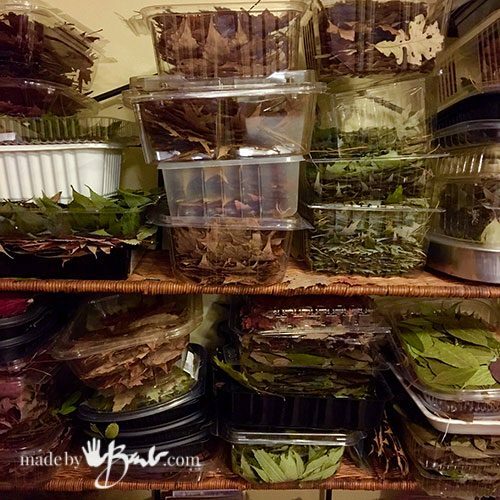 My preference is to store leaves by specie and in visible containers. I don’t buy so I just reuse those bakery and disposable ones from anywhere. Sure, all the same size would be good but I use what I come across. Being able to see them is much better when I do my ‘choosing’ for the day. It’s the best part after all the work of drying and storing. I want to keep them in tact without loosing tips so handling is gentle. I feel ‘rich’ with my stockpile… like a big assortment of ‘paint’. Some printers like to store leaves in the freezer but I think it would be so complicated and using energy seems wasteful. The fridge will keep fresh leaves from getting mouldy if I need some time until I can press them. What a great article full of useful tips. Thank you! I can’t wait to try this. 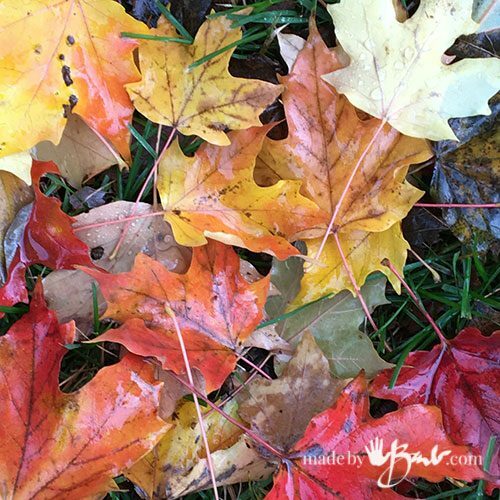 Interesting that spring and fall leaves give different results. 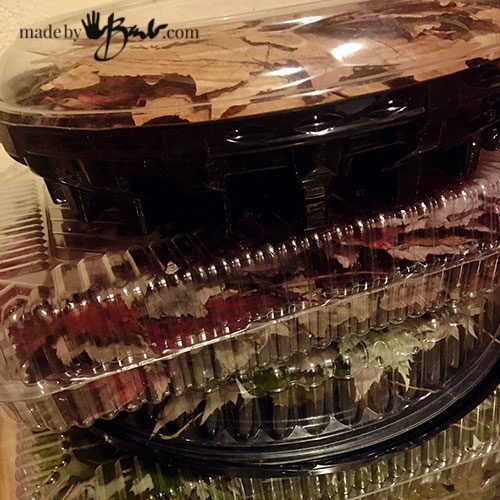 And I love that you recycle bakery containers to store your leaves.. All too often people go out shopping with needs that they could easily fill by giving a second life to something in their waste bin. Thanks! I do wish I had a degree in biology to understand all that goes on in the leaves, but there just isn’t enough time to study everything. 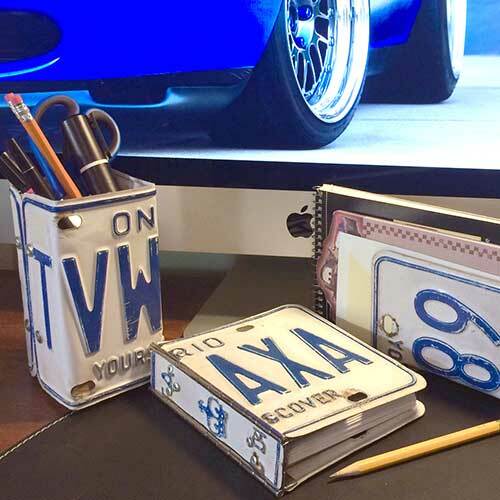 I love that this art form does not need the purchasing of expensive supplies! ‘And reusing stuff… Happy eco printing! Brenda, not sure what you mean about the metal part? 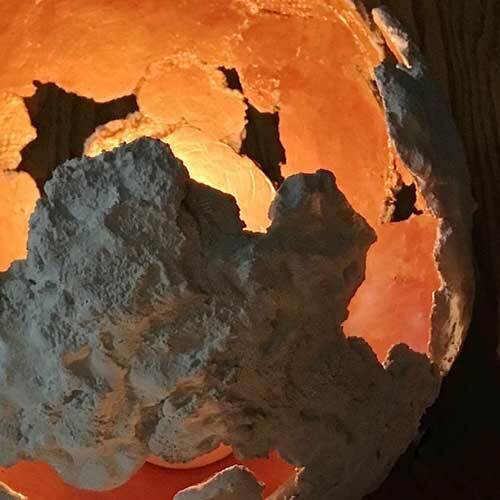 What crazy art are you making now?! Just read your other posts on ecoprinting. Wonderful! Thank you so much for sharing that knowledge with us. Regarding heat processing of the items – have you ever thought of using an electric heating blanket – either as the primary source of heat or as a supplemental one, perhaps after you have microwaved an item to raise it to peak temperature? My sense is that – provided you keep them from getting wet in the process (!!!) – they are quite safe and cost just pennies to operate (ie very low use of power). Plus I wonder if the “slow simmer” they could provide would lead to some unique results. I remember reading how people used to use heated stones or bricks in carriages and beds to help stay warm. I wonder if this might be of use in ecoprinting. For smaller pieces, after you steam the items you could place them in an insulated box, perhaps with some heated stones to keep things actively “cooking” a while longer. And or, tie heated stones, etc, to specific parts of a given piece for added color transfer in those areas. I had thought of using the blanket for processing the fibre reactive dyes as they can use a lower heat. Frankly, the microwave method I’ve used has worked so well lately that I am quite happy with it. The insulating of a few rolls at a time keeps the heat for many hours under the heavy blanket (insulating). I think it is even a better use of the power for such short bursts. I remember my mother saying that she would start the rice boiling and then put the lidded pot in the duvet and it would be nicely done when she got home from work. Insulating has amazing powers. The multiple rolls help keep them hot together. I have also had success with a solar oven that I made (future post). Whatever works is a possibility. I don’t have an electric blanket and the mix of moisture and water does scare me… Let me know if you try it. Happy printing. I was wondering if you thought of a solar cooker. Will be interested to see your upcoming post! After I wrote I realized that I have a heating pad made for use in heating seed flats to promote sprouting. Probably a much safer option than the electric blanket I mentioned! I would think that the temperature would be quite low for seedlings. But I have also read that some do a long process in a warm environment instead of high heat… you just never know until you try. Good luck! Oh thanks! I hope you get some encouraging results. It will probably become an obsession; but I’ve warned you! Happy printing. Hola! Leí atentamente varios de tus artículos, muy interesantes! Respecto a la recolección de hojas, quisiera saber si hay mucha diferencia entre las hojas secas y las frescas. Gracias! There may be slight differences when using them but I re-hydrate them before I use the dried ones. They do not disappoint especially if they were collected and dried when in good condition. It’s a lovely art form but does have some unexpected results; but that’s what makes it magical! I just found your Blogs and I love them. They are filled with excellent information and inspiration! You refer to re-hydrating leaves. How do you do this? I often use a warm to hot water to quickly rehydrate them. I try not to over-soak as I’d hate to lose the tannins. Happy printing! I also use the plastic take out and lettuse boxes and as I have access to a big freezer, I do use it. Great tips on drying here and I applaud your willingness to share!!! So many show beautiful product but give no information!!! Bravo You!!! 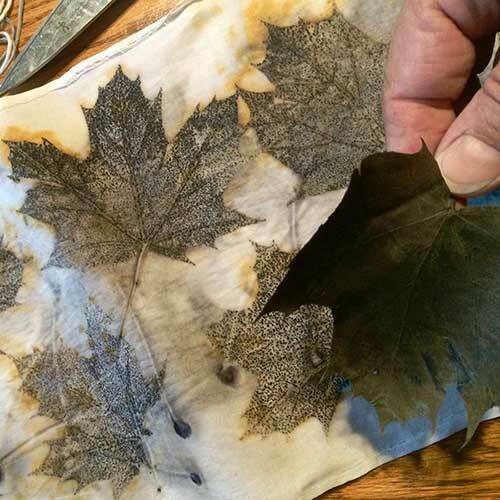 Yes, eco printing is a hush-hush art form… I don’t claim to be an expert but do share what has worked well for me. Thank you for this interesting info. 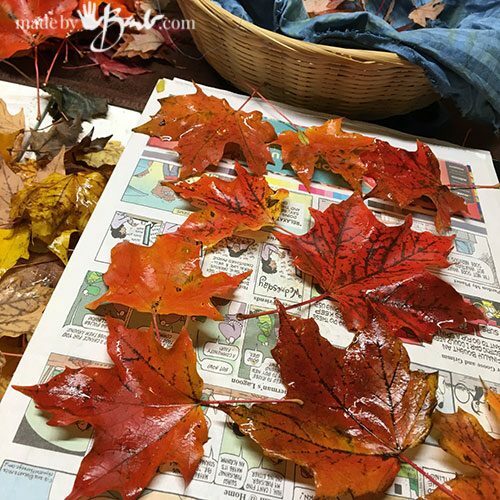 I have not heard of drying leaves for eco-printing and thus have only used fresh leaves and a few flowers (I am a beginner) it is a great tip for when I find special leaves with no plan of immediate printing. I have just read one of your replies that answers my next question “Do you need to re-hydrate before the printing process”. Thanks! Just as there are so many ways to do things in eco printing there are also variations that will make interesting effects. It’s much about experimentation but the rewards are quite amazing and that keeps you interested! Happy making!